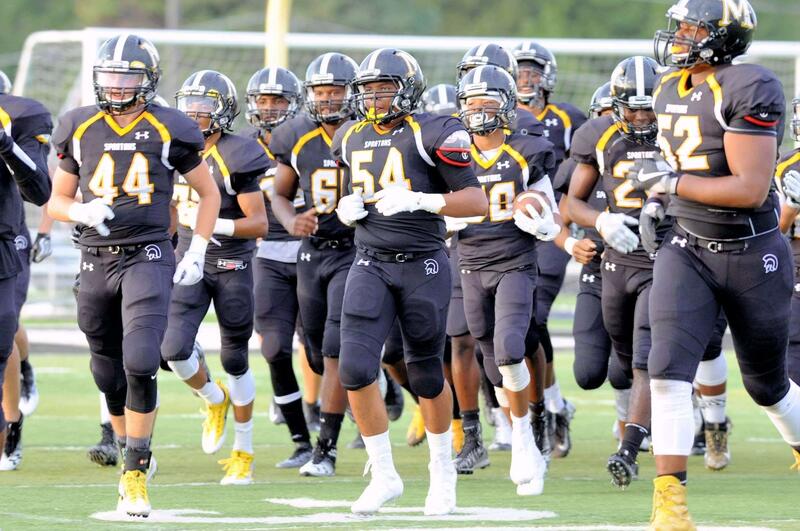 The Marian Catholic Band has a reputation as one of the outstanding concert and marching bands in the United States. The band has become nationally recognized not only for its high standards of performance but also for the quality of experience of each of its band members. 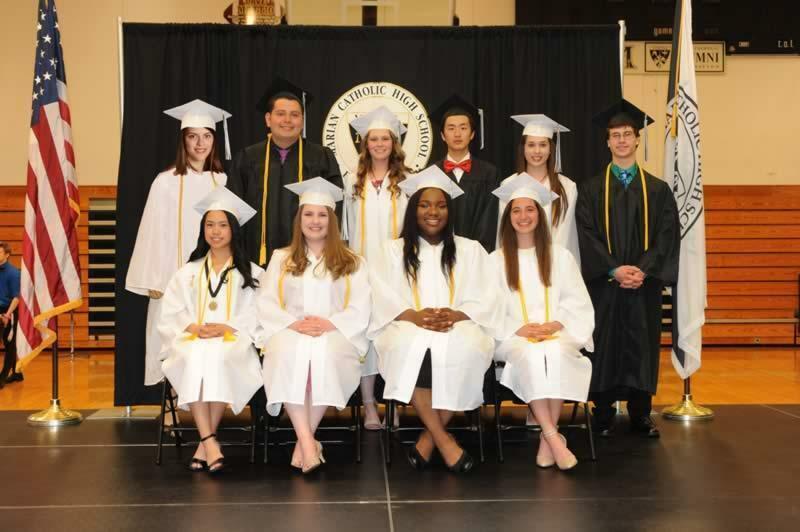 Over the past 20 years, the Marian Catholic band has earned hundreds of awards and honors and has become known from coast to coast as leaders among high school band programs. The Marian band’s education and competitive philosophies have been used as models for band programs in nearly every state of the union. The pride and sense of camaraderie are the cornerstones of the Marian Catholic Band and figure profoundly in each band student’s future. I know of no other program that cares more for students and also provides a truly superior experience in all that they do. The Concert Band is the intermediate performance level band open to sophomores, juniors, and seniors. Students already experienced on band instruments are trained to a higher level of proficiency than the Cadet Band. 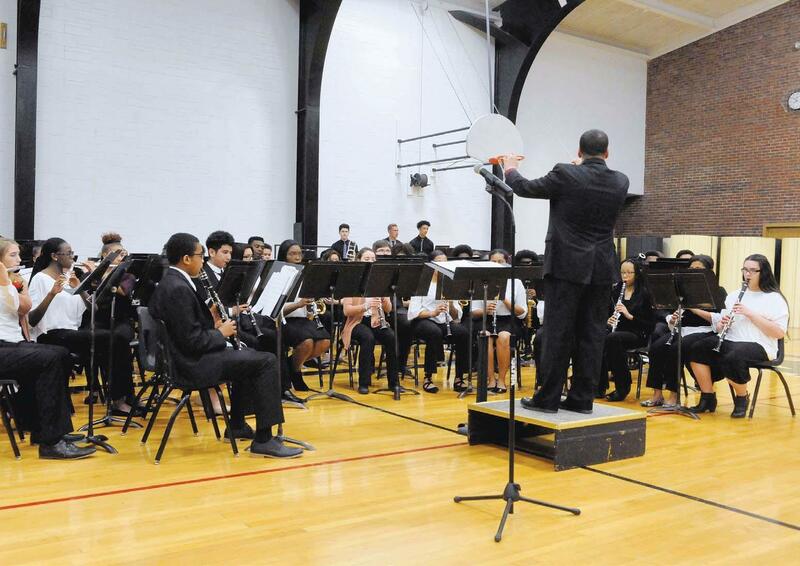 The Concert Band performs in three major concerts per year, one concert competition, and members are also part of the Marching, Pep and Jazz Bands. 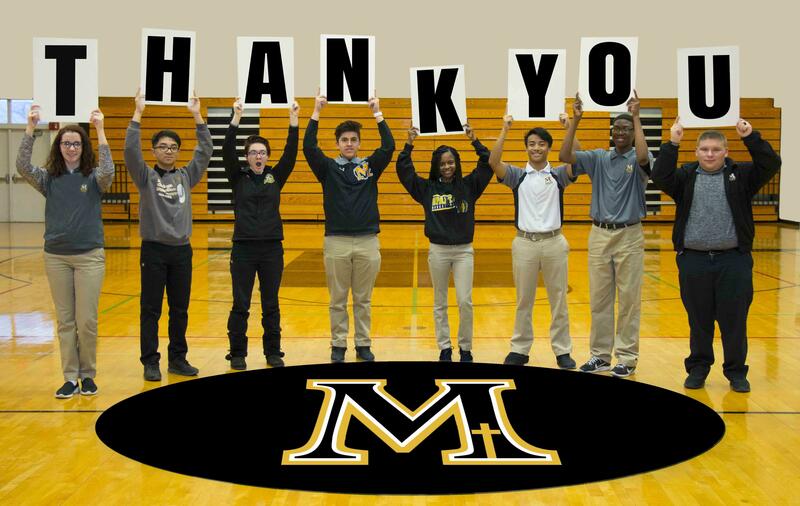 I have had the opportunity to see the Marian Catholic Band perform on numerous occasions and they are, without a doubt, one of the most incredible bands I have seen in my career as a music educator. The Cadet Band is for all freshmen entering the Marian Band program. The Cadet Band members perform at two home concerts and one off-campus competition. Emphasis is placed on the basics of musicianship and performance. 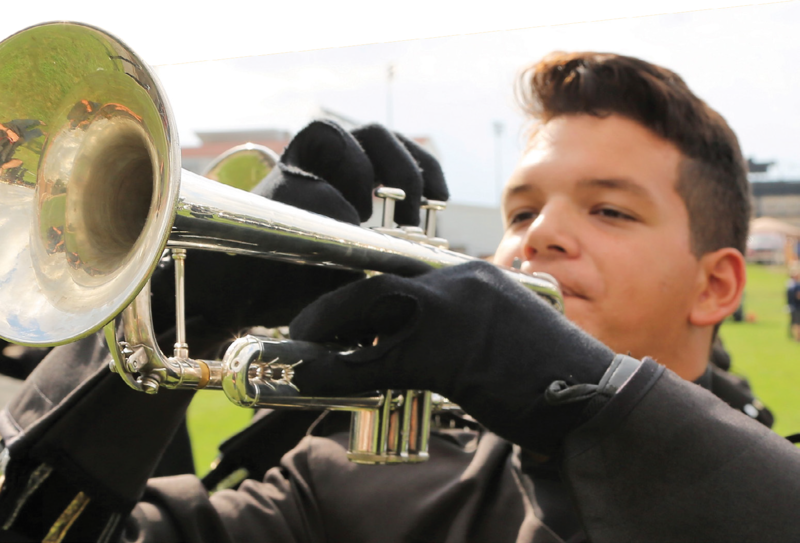 From July – November, members perform with the marching band, and for the remainder of the year may perform in the upper-level concert groups, jazz ensembles, and solo contest. NOTE: Students with no previous experience are also allowed to sign up for Cadet Band and will be taught as beginners. If your life path includes selecting experiences that develop excellence, then look no further. You have it in the Marian Band! The Symphonic Band is for the most experienced players at Marian. The members of the Symphonic Band also participate in the Marching, Pep and Jazz Bands. 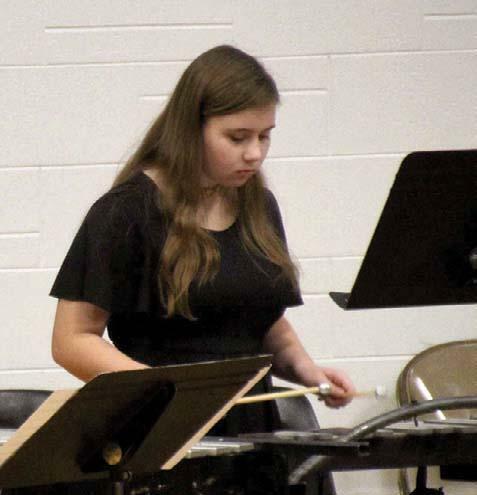 Numerous performances are conducted by the Symphonic Band including home concerts, marching, concert, jazz competitions and local non-competitive performances. Membership is limited by audition and instrumentation demands. 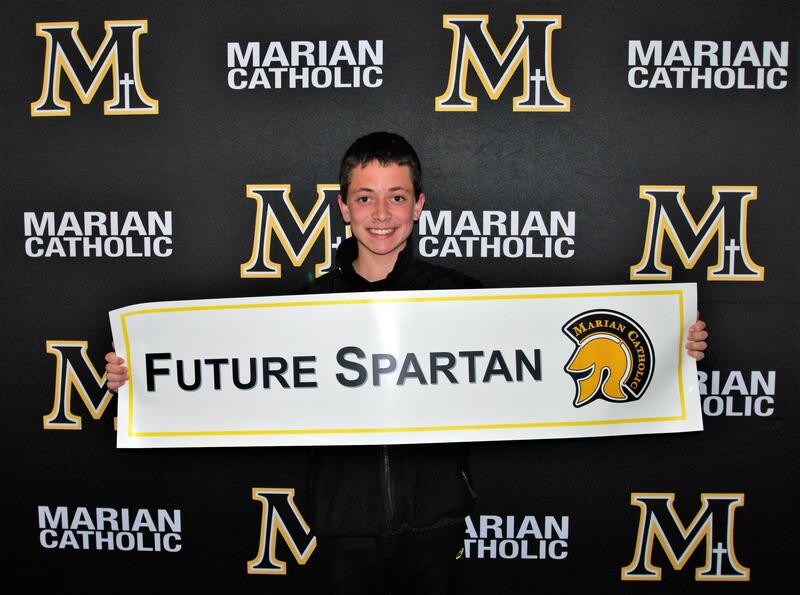 As a father, I hope that my children will have an opportunity to participate in a music education program that is remotely of the quality of Marian Catholic High School. Marian offers two jazz bands that meet outside of school in the second semester. The jazz bands play swing, funk, rock, Latin jazz, and vocal jazz. The band has positions for piano players, drumset players, bass players, as well as the traditional big band woodwind and brass instruments. The Jazz Band is open to freshmen, sophomores, juniors, and seniors. During my 23-year tenure at Illinois, it was my pleasure and privilege to teach several dozen Marian Catholic Band exes. 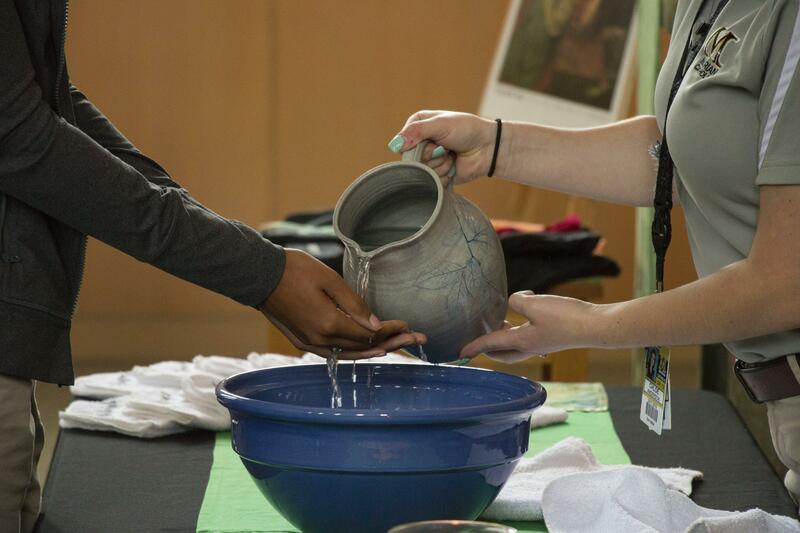 Year after year, I marveled at their dedication and observed how it carried over into their academic and social well-being. 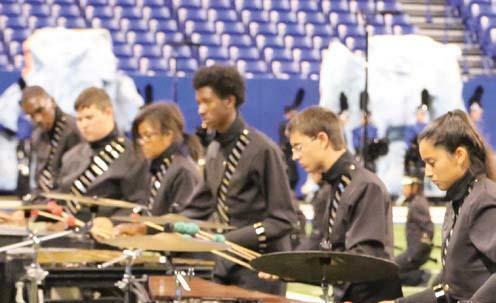 Marian Catholic has a strong percussion program offering students a wide variety of playing experiences. 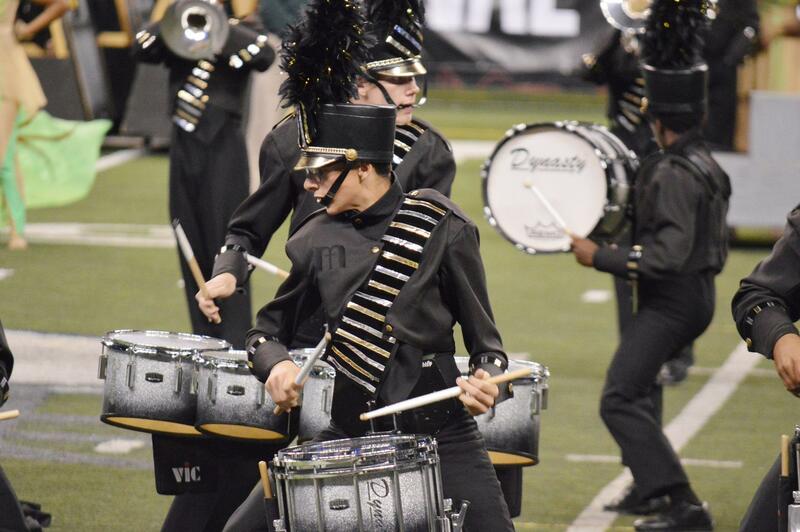 In the Fall, percussionists play on the drum line for home football games as well as in competition. In the Spring, percussions have the opportunity to play several different instruments and learn some incredible percussion only literature. Playing under Mr. Bimm’s inspired direction would prove to be a wonderful experience for any young person interested in exploring their musical potential and broadening their life experience horizons. 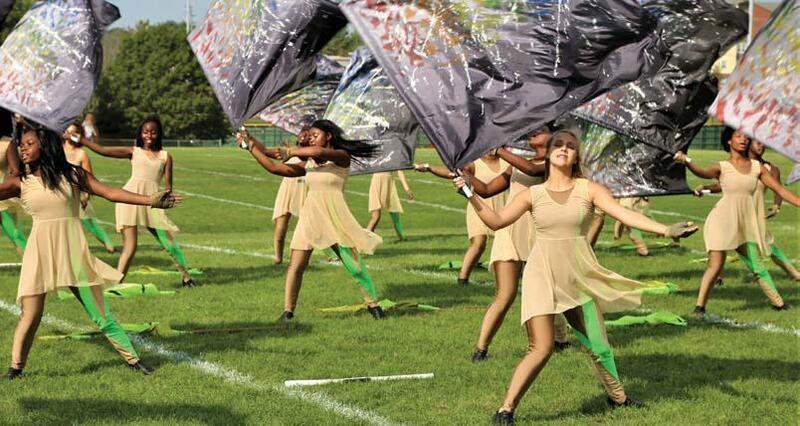 The Color Guard accompanies the Marching Band with precision routines and dance. Auditions are required for placement. The Marian Winter Guard is the indoor version of the Fall Color Guard. This group explores, to a greater degree, the influence of dance and choreography. The group choreographs their own pieces and performs at least one movement. 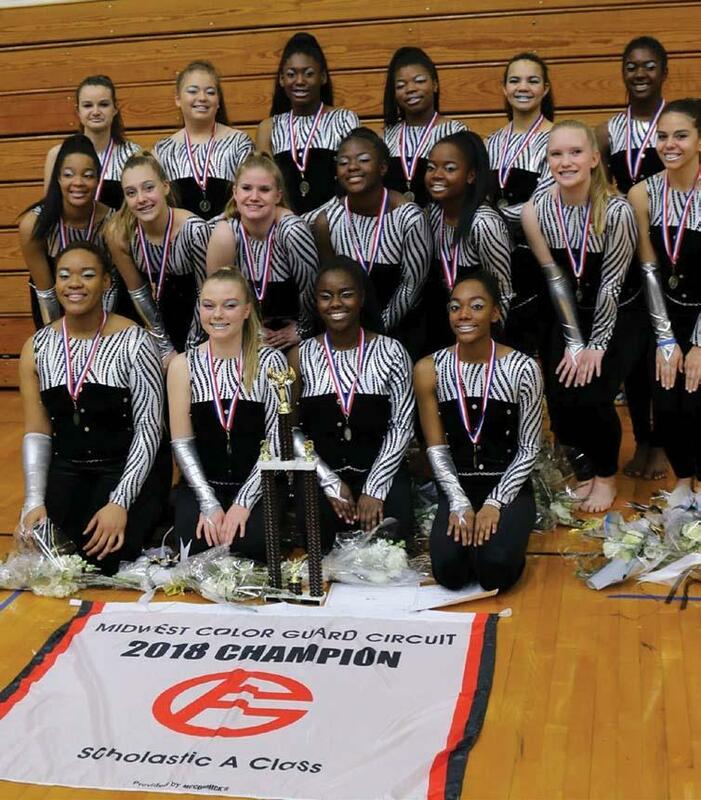 The Winter Guard is open to freshman, sophomores, juniors, and seniors. 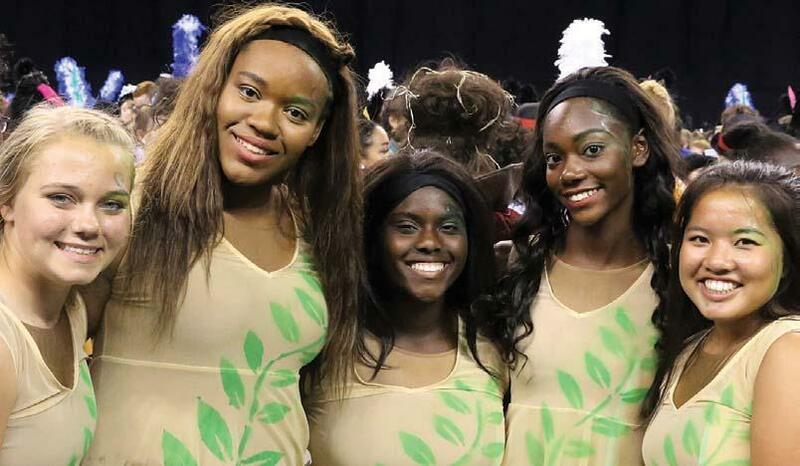 The Winter Guard meets during the second semester and outside of regular school hours, two evenings per week. was one of only eight bands invited to perform at the first National Concert Band Festival in 1992. Mr. Bimm holds degrees from Illinois State and Western Illinois University and an honorary doctorate from Vandercook College of Music. In addition to his role of director of bands, Mr. Bimm has performed as conductor, clinician, adjudicator, drill writer, and music arranger throughout the United States and Canada. 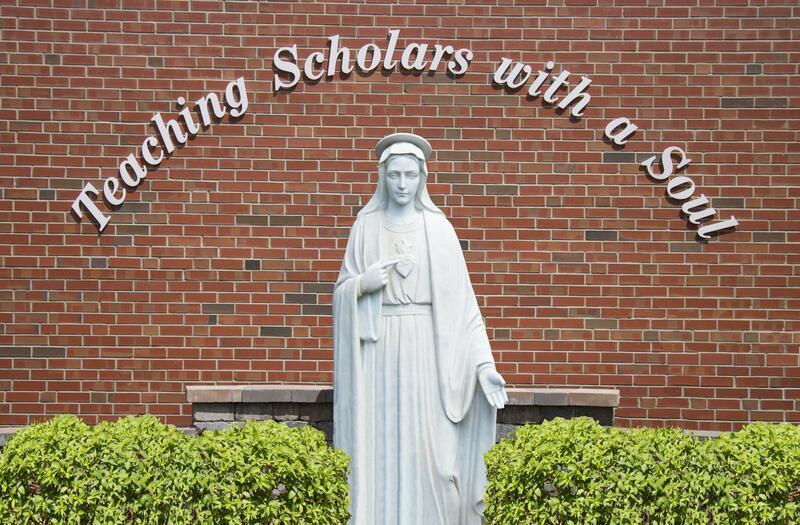 He has completed over 40 years of teaching at Marian Catholic High School.